I’ve never been very good at packing lunches for myself or my husband, usually I default to the same things over and over again and frankly it gets old. Most of the time I don’t even pack a lunch for myself when I’m running out on errands and end up swinging into a fast food joint to grab something, which is okay sometimes but not as often as I tend to do it! So, I’m always looking for easy yet healthy alternatives for lunches and eating on the go. Hormel recently launched a fabulous new line of wraps called REV Wraps and sent me them to review. They are perfect for packing lunches or eating on the go. REV Wraps come in this great packaging that make them easy to throw in your bag and go. Most importantly they provide at least 15 grams of protein each (some flavors are more) and are made from REAL meat & cheese. I really liked the taste of them, my favorite was the peppered turkey, which happens to be Pinky’s fave too! The hubby really enjoyed the Ham flavors and the Italian Style. All of the flavors were really good and flavorful. They are perfect for lunches and on-the-go meals! I am a Hormel Extended Family Blogger and recieved REV Wraps to facilitate this review. I would like these once and awhile and so would my son. Thanks for this info. I probably would not have noticed them otherwise. What a easy meal and perfect for on the go! I’d like to try the Pepperoni Pizza flavor! I am soooo guilty of making the same things over and over, as well. I am going to look into this. Thank you. I have been looking for these and have a coupon for them but so far can’t find at our Kroger store. I want to try the Italian. I found them at our Target store in the lunch meat area if you have a Target near you. I love the Hormel brand, have used it for years, but have never heard of this. Sounds delicious! Thank you for the review. It’s brand new so that’s probably why you’ve not seen them before, they are delish and so convenient! I love that they have so many great flavors to chose from. These would be great for car trips too. I know my grandchildren would like them. 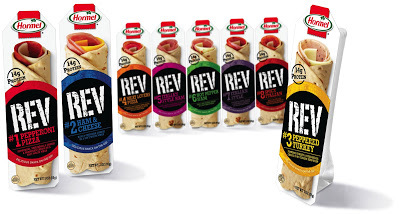 They really do, there is really a REV Wrap to please everyone’s tastes! I agree with you! This are wonderful! I usually don’t try premade type sandwiches but Hormel is one of my favorite brands so I thought it wouldn’t be a waste of money. I was not let down. I like the Italian the best. I have never seen these before. I will have to look for these on my next shopping trip. Thank you for posting this. I found them in my Target store, try the store locator tool on the Hormel website – they allow you to search for a specific product in your area including REV wraps. My son loves these. It’s perfect for an after school snack and on the go before or after his practices. I love that they have several different flavors to choose from.